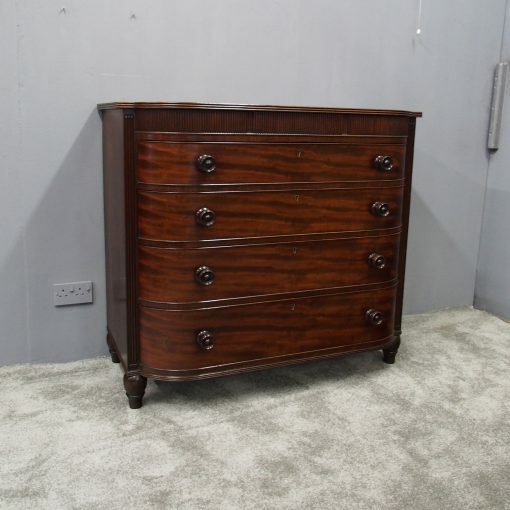 Circa 1820, rare Scottish mahogany chest of drawers by Gordon and Watson, cabinet and chairs makers, Ayr. 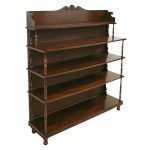 With solid mahogany top, reeded fore-edge and 3 drawers to the frieze, which have quilling pattern to their facing. 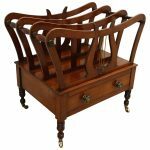 Beneath are 4 full length drawers, which retain their original turned and curved knob handles. There are reeded pilasters which continue down the front and reeded sections which continue around the sides. Standing on 4 turned, bulbous and ring turned legs. Similar examples by this firm of cabinet makers can be seen at the National Museum of Scotland, Edinburgh and they are mentioned in David Jones’ ‘The Edinburgh Cabinet and Chair Makers Book of Prices 1805 -25’.